This tailhousing will allow you to use your toploader in different model vehicles without having to find a different tailhousing to move the shifter to the right location. 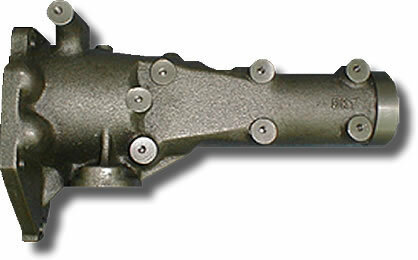 Our tailhousing is available in 28 or 31 spline output shaft size. Weighs only 7 pounds. Includes bushing, seal, air vent and tailhousing gasket.